Survey: Who is the Best Soccer Player in the World? What are your feelings about watching the tournament? 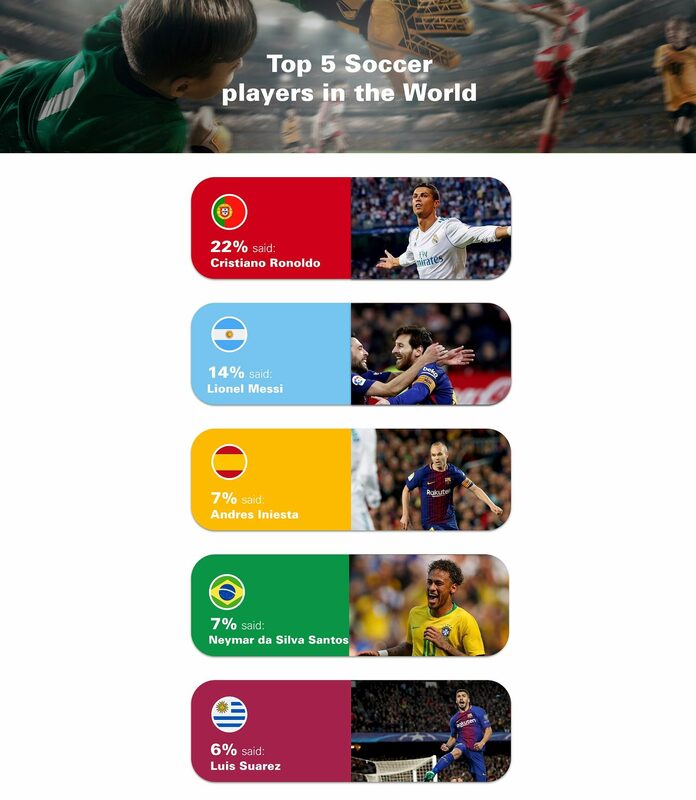 Almost 32% of people said they have no idea who the best soccer player in the world is, which is understandable since soccer isn’t as popular in the US as it is in other parts of the world. Also, the soccer tournament has just started. You never know what players will have a breakout game and carry their teams to victory. Interesting fact: respondents between the ages of 25 and 34, regardless of gender, voted Ronaldo as the best soccer player in the world. David Beckham and Pele, arguably still the greatest soccer player ever, were the most popular “Other” selections. The answer to this can be summed up in one word: excitement! Across genders and age groups, 36% said they’re excited to watch the tournament, while almost 29% of respondents said they’d watch it if it happens to be on. In other words, more than half of respondents are interested in watching the tournament. The global soccer tournament takes place from June 14 to July 15, which is also prime summer travel time in the States. Whether in an airport or hotel restaurant, it’s a good bet at least one TV will be showing the soccer tournament. And don’t forget that you can also watch it online! 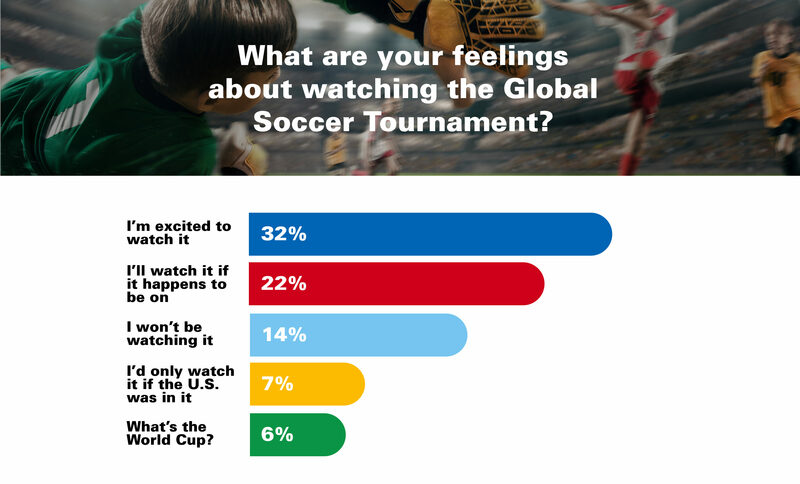 About 21% of respondents said they won’t be watching the soccer tournament at all, which is not surprising considering baseball is America’s favorite summer pastime, for now. A recent Gallup poll suggests soccer will soon overtake baseball, especially among those aged 18-34. The global soccer tournament, like the summer Olympics, happens every 4 years. In 2022, will soccer replace baseball as America’s favorite pastime? We asked 1,000 Americans to answer these two questions in a survey administered by Pollfish. The survey was performed in May of 2018. Watch the global soccer tournament, and more, online.